10 Wintery Treats No Matter Where You Live In The World. For some of us, the season of winter is soon approaching, for the majority of us in the States, winter has been here for a while, and quite the time to cozy up, either alone, or with another. But the foods that we all partake in are something that is to be taken seriously, regardless of if you celebrate the holidays or not. Above and below are just some of the few food and drink recipes we’ve found to help you warm up the winter. Check the method. Sparkling Cranberry-Ginger Spiced Iced Tea. Chicken Sausage, Pepper and Onion Pasta Bake. Chicken-Fried Steak with Cream Gravy. “A taco is a crispy Mexican pancake made from corn and eggs, which is folded and filled with meat, vegetables, and a spicy sauce.” That may be the OFFICIAL English definition of a Taco, (we all agree that it doesn’t end with the word “Bell”). However our personal definition of “Taco” at this blog is simple the word ‘Delicious’. Check out some of the sexiest looking Tacos we’ve ever seen, here are our favorite taco recipes from chefs around the world. From fish tacos with creamy lime guacamole to crispy fried chicken-filled tacos, try as many of these as you can. Pastry hurling international dance icon Steve Aoki has decided to temporarily halt the on-stage cake throwing gimmick and pick up the dough roller. The 40-year superstar DJ/producer has just announced the opening of Pizzaoki in his hometown of Los Angeles. As the son of Benihana’s founder, who once told Yahoo Finance he has never received a penny from his father, the inventively named new restaurant seems like a fitting next move for the entrepreneurial mogul. A themed restaurant in it’s conception, much like the theatrical Japanese chain started by his late father, Aoki says that customers will be able to enjoy quality pizza recipes named after his hit songs — for instance, a classic cheese dubbed “Just Hold On” or the “Mayhem,” a supreme with all the toppings. The new concept also relies heavily on technology for delivery, as Pizzaoki currently lacks a brick and mortar location. Customers can currently place orders through Postmates and Uber Eats. 12 Amazing Hot Dog Ideas For The Summer. Everyone knows that in the States, hot dogs reign supreme during the summer season, but not all dogs have their day. Below is a great list of 12 different gourmet dogs that can switch up your barbecue routine, the links to all the recipes below. Check the methods. Add a crunch to your weenies by placing them inside taco shells. Get the recipe at Self Proclaimed Foodie. These barbecue-infused hot dogs need to be added to your cookout menu ASAP. Get the recipe at Will Cook for Smiles. Chicago might be known for their deep dish pizza, but their hot dogs are out of this world, too. Get it at Seeded at the Table. Toss a few tropical ingredients on top for a sweet Hawaiian twist on the American classic. Get the recipe at The Endless Meal. If you’re craving a spicy dinner, these cheesy hot dogs will hit the spot. Get the recipe at Life Tastes Good. This copycat recipe is inspired by the lightly sweet corn dogs from the happiest place on Earth. Take advantage of hot dog season by eating them for breakfast. Heat up your hot dogs by drizzling them with buffalo sauce. Get the recipe at That Oven Feelin’. The kids are going to love these dogs topped with mozzarella cheese and mini pepperonis. Get the tutorial at Taste and Tell. Add on fresh, tasty flavors from the South for a new summertime favorite. Get the recipe at Country Cleaver. Smothered in hot chili, cheese, and onion, this loaded hot dog is far from boring. Click here to get the recipe. Swap the meaty links for corned beef in this deli sandwich-inspired transformation. 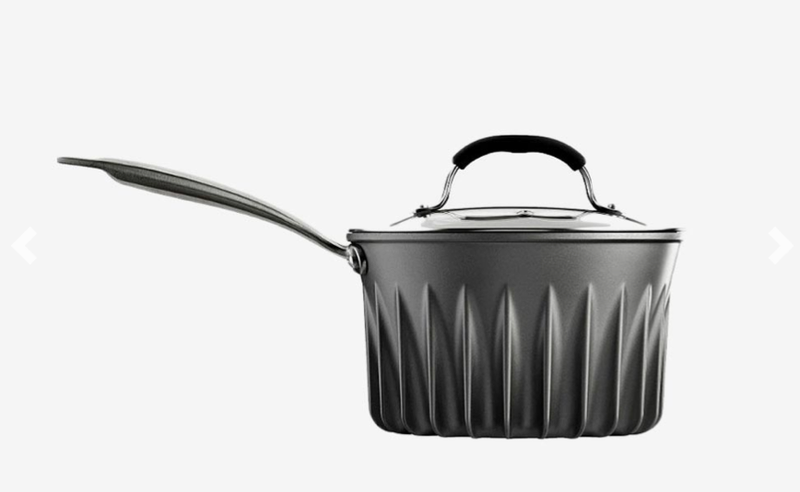 The William is an innovative stove top concept that utilizes the full surface area potential for cooking. It also ditches knobs and dials for touch screen control. Even though items placed on the surface of The William don’t automatically heat up. They are automatically recognized, but only when the user is ready to cook and activates the surface by tapping the control panel. Then, when a signature is recognized, the user has to manually raise the temperature in order for the signature to receive any heat. That all may seem a bit complicated, until you check out the video below. You probably don’t realize it, but you’ve been cooking inefficiently. We’re not talking the funky way you cut an onion or the lack of prep before starting a recipe, we’re talking about the pots and pans on your stove top. 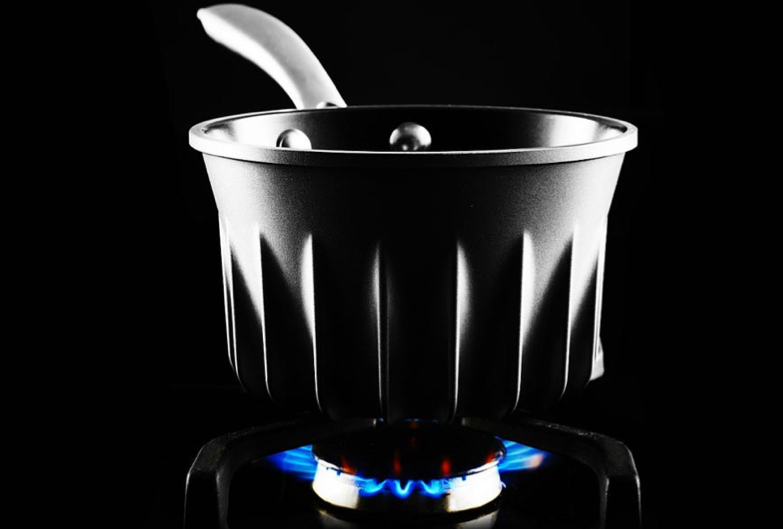 Flare Pans were designed with the help of Dr. Tom Povey, a rocket scientist from Oxford, in an effort to help you cook faster and better. 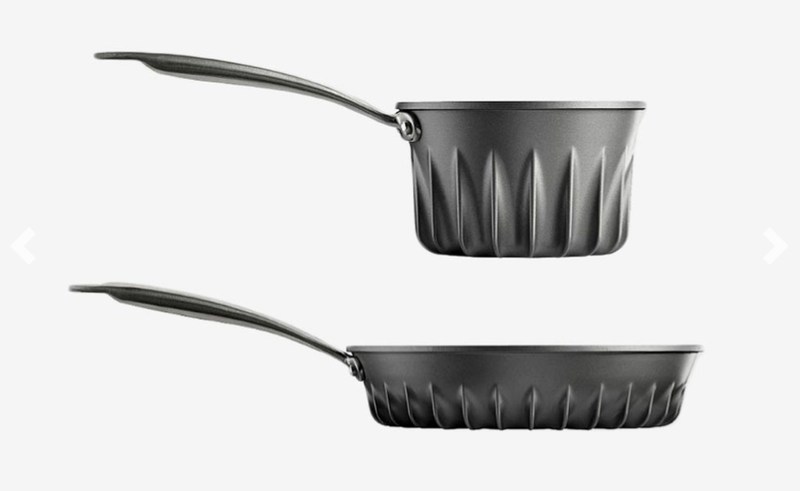 Each pan allows the heat from the burner to be distributed evenly across the base and sides which will cook your food faster (44% faster) while using less energy and without burning or scorching the food around the edge. They belong on wedding registries everywhere.